Robert Herriman is the co-founder of The Global Dispatch, Inc. and Editor-in-Chief of Outbreak News Today. He started his journey in freelance citizen journalism in early 2009, when he wrote exclusively about infectious diseases for Examiner.com. He began writing about other topics such as political news and opinion, world news and health topics for the news blog, The Desk of Brian in 2010. He has written guest posts for sites such as eMax Health, End the Neglect and the Filipino Nurses Nursing blog and forum. In addition to his work at The Global Dispatch, he hosted and produced the Saturday morning talk radio show, Outbreak News This Week and co-hosted the eclectic talk program, Dispatch Radio on the Tan Talk Radio Network in Clearwater, Florida from July 2013- May 2014. In Nov. 2014, he brought back the Outbreak News This Week Radio Show which was aired Sundays at 5 pm on AM 860 The Answer in the Tampa Bay area and worldwide online. The Outbreak News This Week Radio Show returned to the air on Dec. 20, 2015 on AM 1380 The Biz in the Tampa Bay area and streaming online worldwide. The show airs Sundays at 8 pm. Between the two radio programs, he has interviewed experts from the CDC, state health departments and academia. He has also interviewed people who have started advocacy and awareness groups for different infectious diseases. In addition, Robert has appeared on “Off the Grid” with Jesse Ventura , “Wall Street Journal This Morning” with Gordon Deal , Channel News Asia in Singapore, the Canadian Broadcasting Corporation, The Liberty Underground Show Radio show in Tampa, America Out Loud , Dr. Bill-Your Radio MD and The Captain’s America-Third Watch to discuss different infectious disease topics. 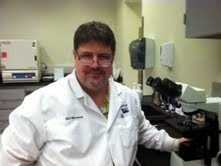 Robert is a certified and licensed microbiologist who has been working in clinical and public health microbiology and in industry for nearly 30 years, both in the US and abroad. He holds a Master of Public Health in Tropical Public Health and Communicable Diseases and has a graduate certificate in Diagnostic Parasitology and Medical Zoology. In his free time he enjoys spending time with his family, attending his church and studying the Bible, traveling, reading topics as diverse as economics and medical history and watching movies.